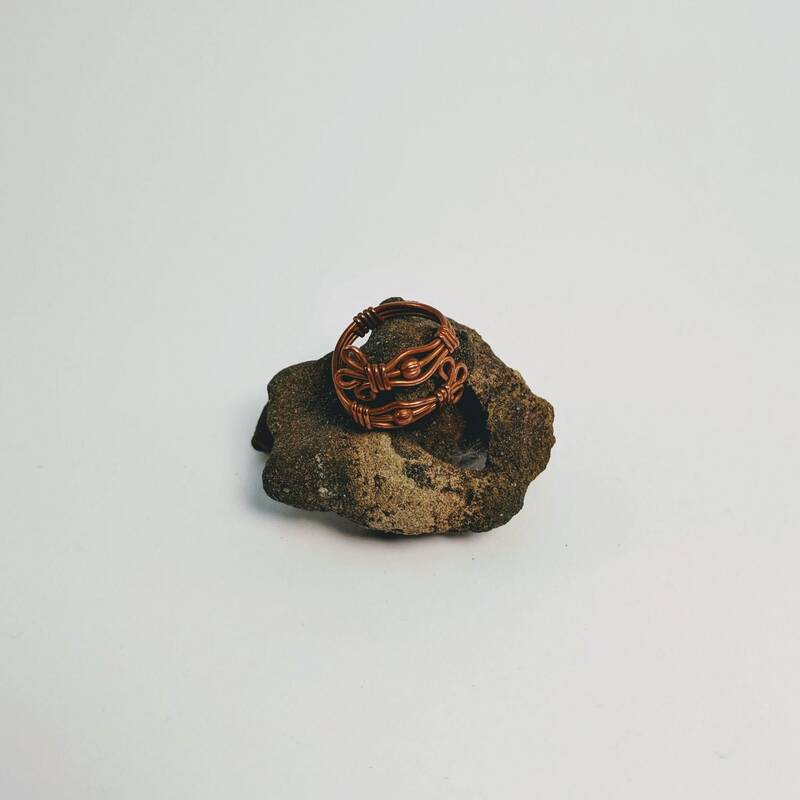 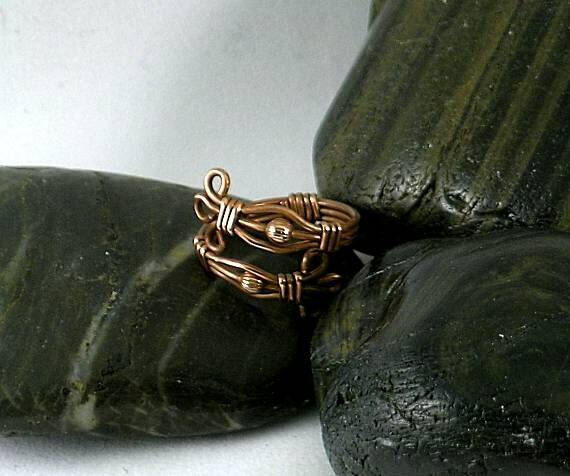 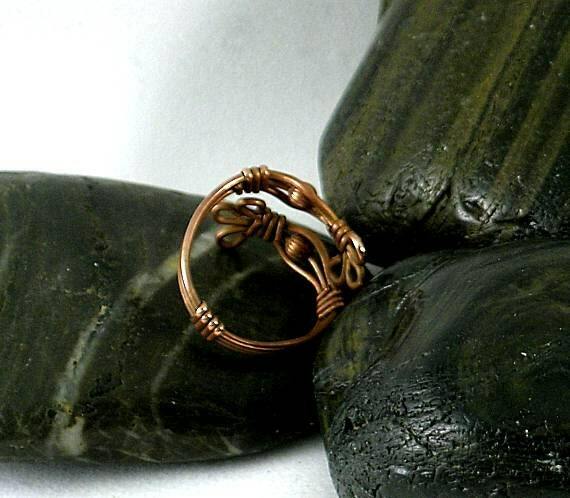 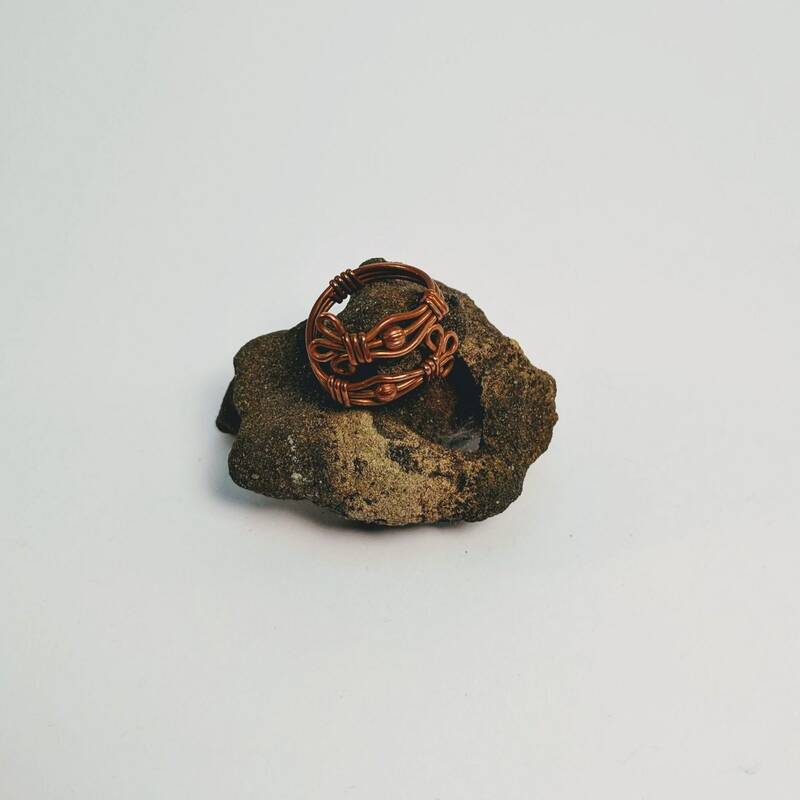 This ring is made of wire wrapped raw copper and is embellished with two round 3mm corrugated copper beads. 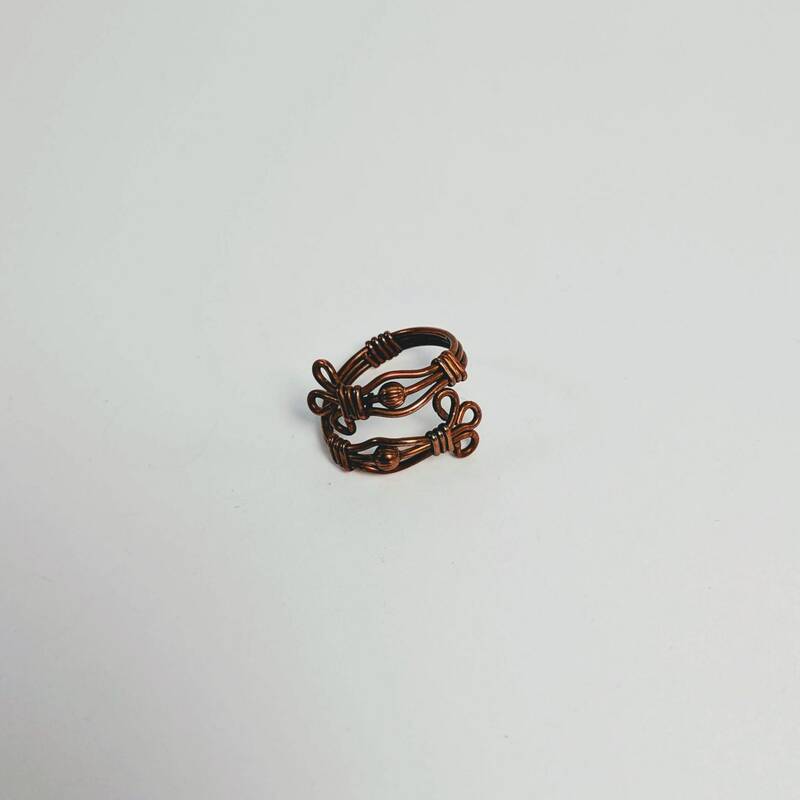 The ring size is adjustable. 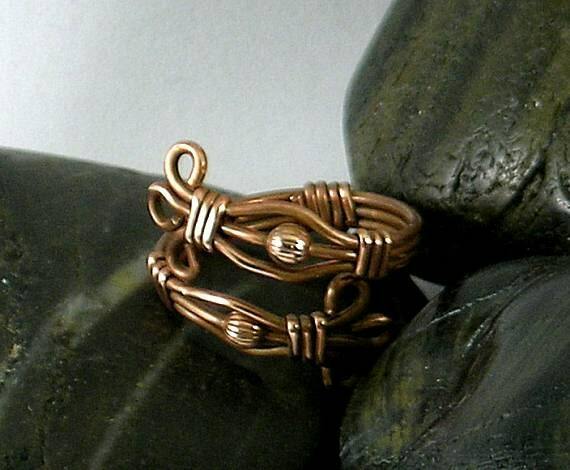 At its widest, it is approx. 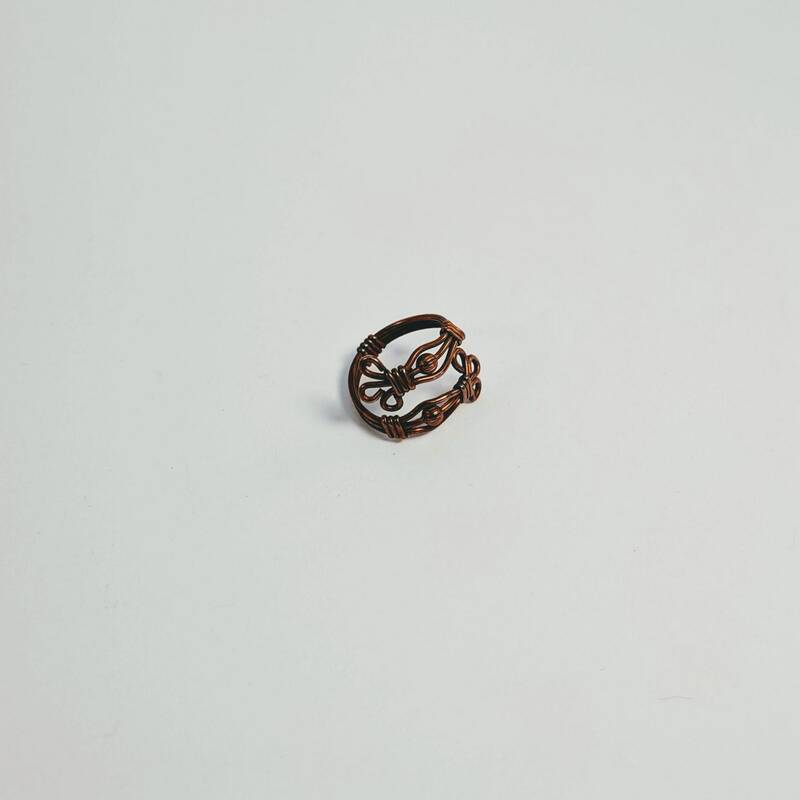 16mm or 5/8 inch. 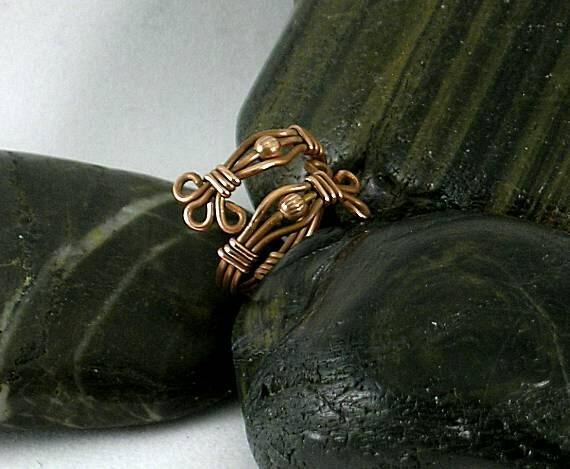 The ring can be custom ordered in other metals; however, they will not be on sale.